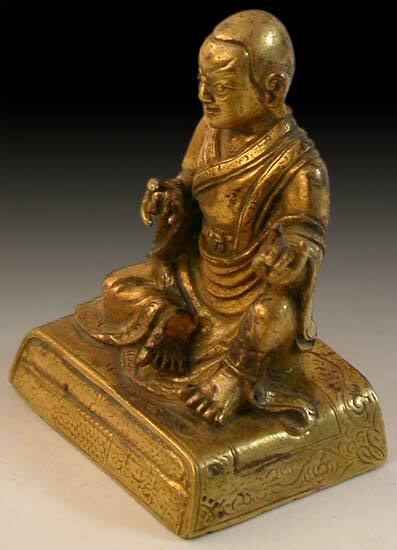 Dressed in traditional monks robe, seated in an easy posture (lalitasna) on a double cushion incised with floral patterns, this heavily gilded small statue of an arhat is remarkably robust. He is seen here with his crisp facial features, raised eyebrows and sharply round eyes. 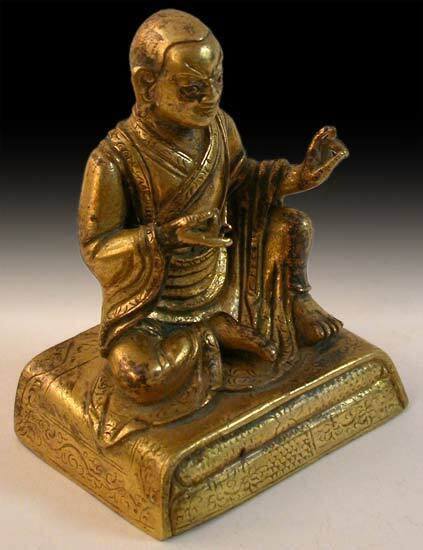 From the finely modeled clothing to minute details in the arhat's fingers and toes, its superb artistry indicates quality which was most likely produced for awarding the sixteen Lharampa degrees in Gelugpa scholarstic achivements during the 18th century. 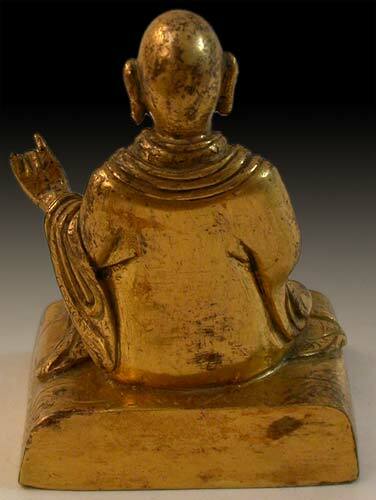 There is no doubt that this is one of the 18 arhats frequently portrayed in Buddhist art. However, since the statue has lost its attribute, it is difficult to verify his identity for certain. 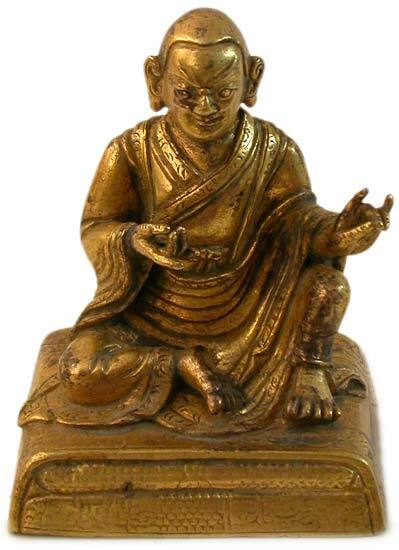 Judging from the overall impression: the position of his right hand suggests that he may had once held a vajra, and in his left the gesture of tajra mudra, which symbolizes conquering five obscuring emotions. With these iconographic symbols in mind, we tentatively attributed the statue to be Vajriputra, which in Tibetan means "Son of Dorje Mo", the fifth arhat who was known to lived in Sri Lanka with 1000 disciples.